It's no secret that I'm a bit of a Lush addict, so when I saw their Valentines collection pop up of their website I just couldn't resist and ended up treating myself to a couple of bits! 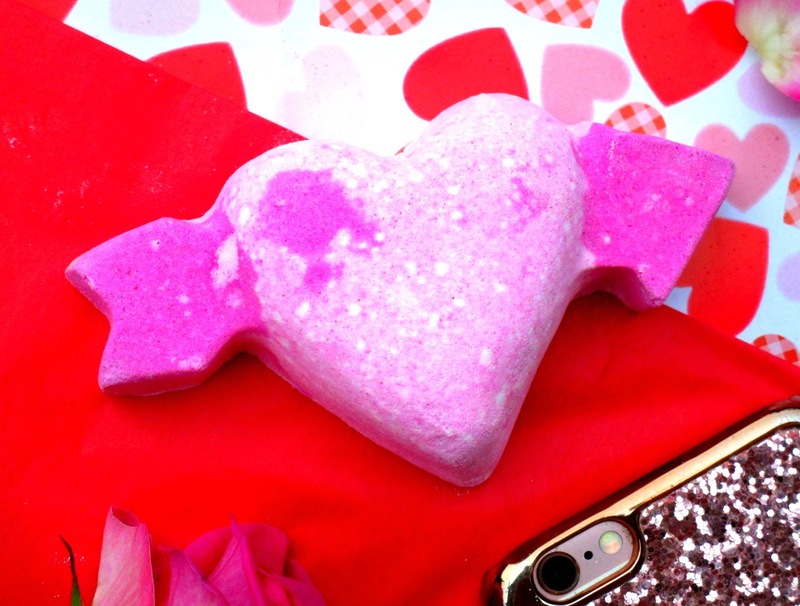 Firstly I picked up the Cupid Bath Bomb (£2.95), this is brand new to Lush this year and isn't it cute, I love the pink love heart-arrow design, it definitely captures the Valentines theme that's for sure. As this is new I had no idea what to expect from it smell but it's actually divine, its full of uplifting bergamot, rose and violet leaf absolute making it very floral but it also has a subtle sweetness running through it too to balance things out, I love it! 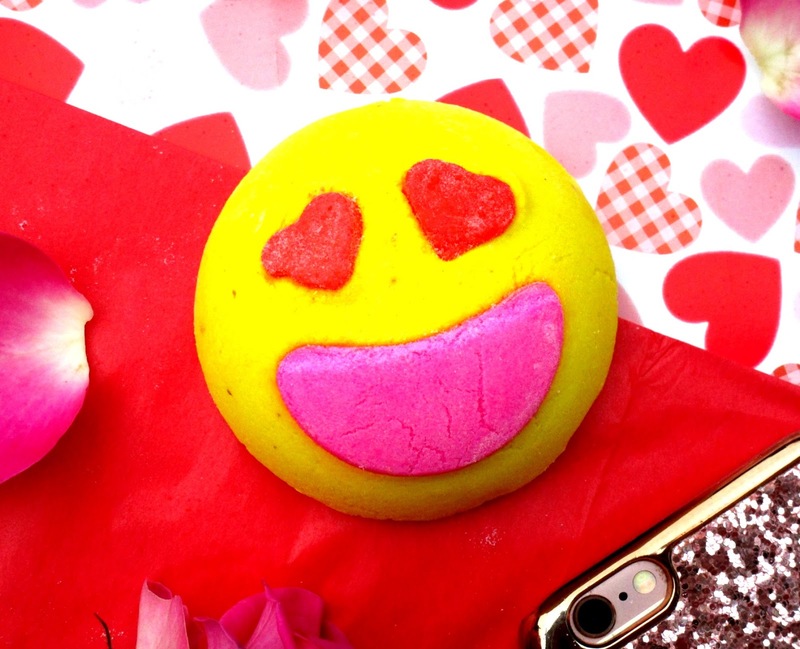 Another newbie to the Lush Valentines collection this year is the Lovestruck Bubble Bar (£4.25), can we all just take a second to appreciate the emoji vibes he he, what a cutie! Lovestruck will add a bright yellow citrus burst to your bath because it smells just like a super sour lemon, kind of like a sour lemon sweet actually. I think this one will be great if you like a morning bath as the lemon really is quite refreshing and will perk you up for sure. 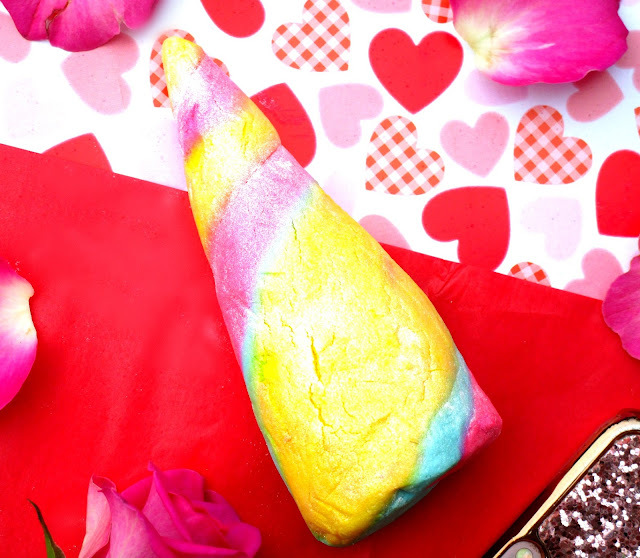 Yayyy one of my favourites is back - the ever so popular Unicorn Horn Bubble Bar (£4.25). The Unicorn Horn is super pretty with it's colourful, bright stripes that have been merged together to create the shape of a magical Unicorns Horn, its also covered in a delicate silver lustre which just adds to the magical effect! If you really want to relax and unwind before bed then the Unicorn Horn is perfect because it contains lavender oil and neroli oil which both take away the tension for a better nights sleep, I love this one and I'm so glad Lush brought it back for another year! Finally I picked up the Lover Lamp Bath Bomb (£4.25). 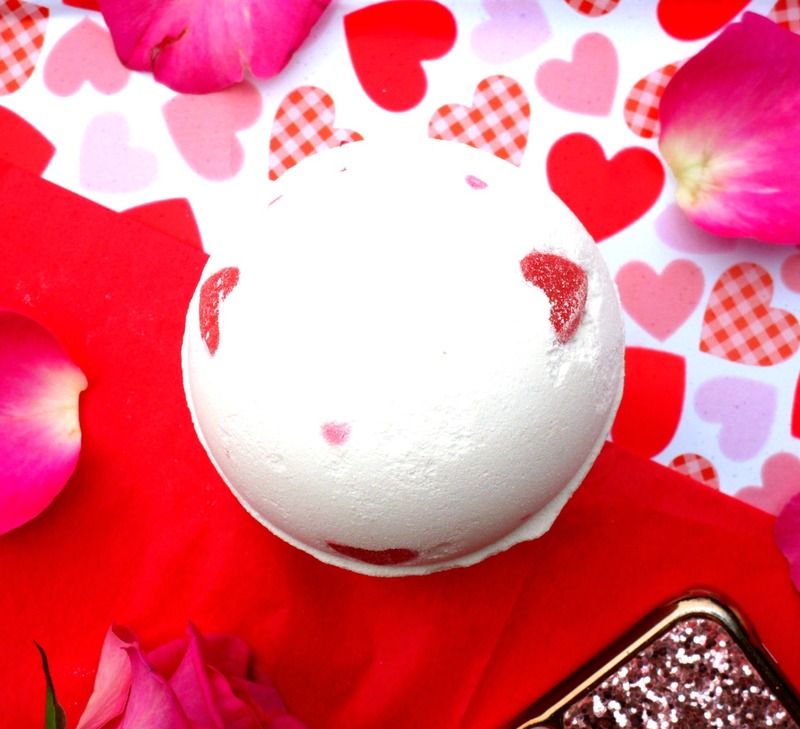 I literally can not wait to use this one, it smells of sweet vanilla and the three red love hearts around the bath bomb are actually organic cocoa butter bath melts which will really nourish and moisturise the skin, apparently the bath bomb bursts out red love heart confetti too, how cute! 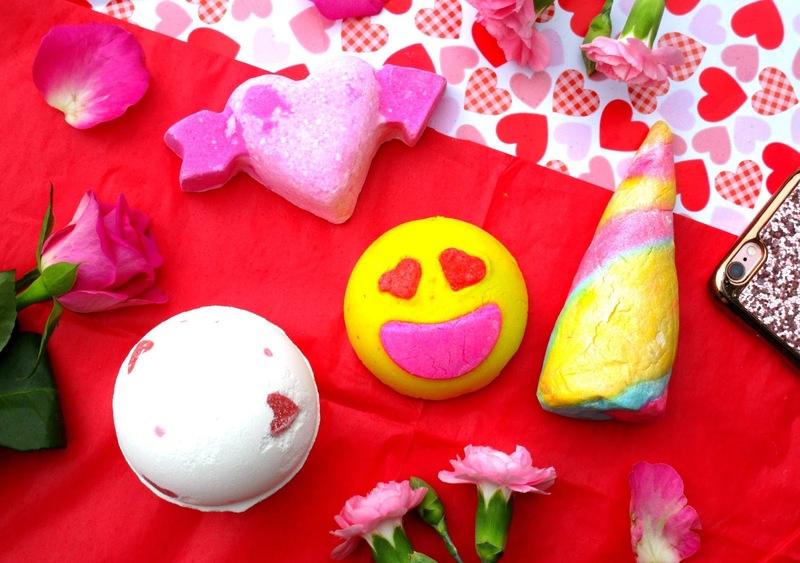 Have you bought any of the Lush Valentines Collection yet beaut's? Whats your favourite? I'd love to know! I love the cupid bath bomb and lover lamp! I'm a Unicorn Horn kinda gal, so glad it's back! Was going to pick up a few bits to try, but think I might end up just getting like 3 Unicorn Horns haha! The emoji is so cute!